This is the talk page for User:Faizanali. Please leave a message. Hi Faizan Ali, welcome to Grand Theft Wiki! I hope you like the place and decide to stay. Hi Faizanali, and welcome to GTW! Looking at the badge you uploaded, am I right in saying that is a texture file extracted from the game's files? Different parts of that image are used on different parts of the bike, for example the "NRG 900 RR" on this image. If that's is correct, I think it would be wrong to upload the whole texture to this website. That would just be copying the game files onto this website, which is not what we are for. We need useful, relevant information and images. 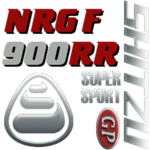 What would maybe be better is if you extracted the relevant parts from that image - for example the 'NRG 900 RR' part (to show the logo for that bike), or the Shitzu logo. Uploading those things separately, and showing them in the article separately, makes them useful. Just uploading the whole texture in one go is not very useful, and it might be wrong to do that. Yes there are two Special Pages that do that. Special:CountEdits/Faizanali shows you your personal totals, whilst Special:ContributionScores shows approximated "scores" for total recents edits for each user, based on a few different things. So for example, EditCount shows you have made 88 edits. ContributionScores shows that, over the past 7 days, you have made 44 edits to 36 pages, giving you a score of 42 (putting you 5th for this week). However, I can't stress enough that neither an edit count or a contribution score is a measure of the quality of an editor, or even how much they contribute! Some users might make 1 tiny edit to hundreds of pages (such as fixing a spelling mistake), and score a lot higher than someone who writes 5 very good, very long pages from scratch! On this wiki, we need all sorts of editors. We need people to write new content, people to fact-check information, people to tidy things up, people to organise everything, and people to be super-picky and fix all the little mistakes. Without all those different people, we wouldn't be good at all! This page was last modified on 17 November 2012, at 21:28.